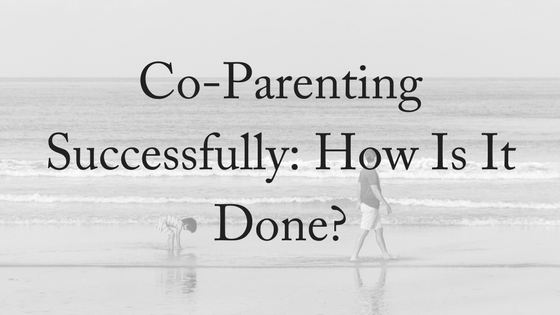 Co-Parenting Successfully – How Is It Done? For those who have recently divorced, the idea of co-parenting successfully can seem demanding and incredibly difficult. However, this does not have to be the case. There can be issues when you and your ex-partner have vastly different parenting styles and expectations. Where conflict continues between you and your ex-partner, both you and your children will also suffer. Co-parenting successfully involves open communication and patience for a positive experience to be created over time. Also, it helps if both of you are able to put the focus on your children to ensure you and your ex-partner make the best decisions. There are two forms of problem solving that are best to use when co-parenting successfully: strategic and social. Strategic problem solving includes addressing issues from a non-emotional perspective. You may realise that your children are experiencing problems, and you may wish to communicate with your ex-partner. Strategic communication will involve discussing the needs of the child and looking for solutions without resorting to blame, anger and conflict. Social problem solving involves the act of solving problems while looking at the emotional impacts on the child. This form of problem solving may be difficult and may become personal, however, it is best to keep the interests of the child as your key focus. It is best to have mutual agreements between you and your partner. To begin, you should welcome open communication. You can organise face to face meetings or discuss issues over phone calls, text messages or emails – whatever form of communication works best for you and your family. You should also agree on rules between both households in order to save confusion for your kids. Children who experience stability do best over the long-term, so if you can agree on similar times for meals, bed times and chores, your children will benefit. You should also agree on behavioural issues to ensure that your children follow the same guidelines in both houses. Your children may try to push boundaries and this is why co-parenting successfully is important. Communicating about any boundary pushing or other behaviour from your children may be challenging, but persistence from both parents will eventually make co-parenting successfully much easier. Keep in mind this is incredibly beneficial for your children and worth the time and pain. While the do’s are fairly crucial for co-parenting successfully, the don’ts are equally as important. Firstly, don’t burden your child by constantly making complaints about your ex-partner and don’t expect your child to agree. Your child is entitled to their own opinion and a positive relationship with their other parent. Putting your child into the middle of conflict is not beneficial for their own well-being. Don’t stray on boundaries that you have set together just to be seen as the ‘cool parent’. A child needs stability in the midst of both relationships. You may feel guilty for putting your child through the whole process of divorce and may therefore back off on punishments and guidelines. However, this is not beneficial for your children or the other parent. Don’t back out of routines. If at one house your child does homework before dinner, try and establish a similar routine at your own house. While your child may recognise that there are changes between each houses, they need structure just as much as you do. In a similar vein, don’t believe everything you hear! If your child accuses the other parent of backing out of routine, approach the issue carefully and calmly, rather than looking for a fight. Co-parenting successfully together is incredibly important for your children, and for both parents. At first it may be a struggle, but working together for the benefits of your entire family is incredibly important. While you may at first not be on good terms, legal services such as mediation can help you in taking the first steps to making decisions for your children. For advice and information on co-parenting arrangements, child support and all issues involving separation and divorce, please contact us today. We offer a free, 10-minute phone consultation.